Not to be confused with the Excalibur Program, a 21st century DARPA laser development program. This early artwork shows an Excalibur firing at three nearby targets. In most descriptions, each could fire at dozens of targets, which would be hundreds or thousands of kilometers away. Project Excalibur was a Lawrence Livermore National Laboratory (LLNL) research program to develop an X-ray laser as a ballistic missile defense (BMD). The concept involved packing large numbers of expendable X-ray lasers around a nuclear device. When the device detonated, the X-rays released by the bomb would be focused by the lasers, each of which would be aimed at a target missile. In space, the lack of atmosphere to block the X-rays allowed attacks on missiles thousands of kilometers (miles) away. Excalibur appeared to offer an enormous leap forward in BMD performance. Previously, missile-based anti-ballistic missile (ABM) systems faced the problem that they attacked the warheads, not the ICBM missiles that launched them. A single ICBM could carry multiple warheads in a MIRV system. If the attacker added a single new missile to their fleet, dozens of interceptors would have to be built to counter it. Excalibur would attack the missiles before the warheads separated, and a single Excalibur contained as many as 50 lasers and could potentially shoot down a corresponding number of missiles. [a] Excalibur could reverse the cost-exchange ratio; a single additional Excalibur would require dozens of ICBMs to counter it. The basic concept behind Excalibur was conceived in the 1970s by George Chapline, Jr. and further developed by Peter L. Hagelstein, both part of Edward Teller's "O-Group" in LLNL. After a successful test in 1980, in 1981 Teller and Lowell Wood began talks with Ronald Reagan about the concept. These talks, combined with strong support from a like-minded group that met at the Heritage Foundation, were a major part of the series of events that ultimately led Reagan to announce the Strategic Defense Initiative (SDI) in 1983. Further underground nuclear tests through the early 1980s suggested progress was being made, and this influenced the 1986 Reykjavík Summit, where Reagan refused to give up the possibility of proof-testing SDI technology with nuclear testing in space. Researchers at Livermore and Los Alamos began to raise concerns about the test results. Teller and Wood continued to state the program was proceeding well, even after a critical test in 1985 demonstrated it was not working as expected. This led to significant criticism within the US weapons laboratories. In 1987, the infighting became public, leading to an investigation on whether LLNL had misled the government about the Excalibur concept. In a famous 60 Minutes interview in 1988, Teller attempted to walk out rather than answer questions about the lab's treatment of a fellow worker who questioned the results. Further tests revealed additional problems, and in 1988 the budget was cut dramatically. The project officially continued until 1992 when its last planned test, Greenwater, was cancelled. The conceptual basis of short-wavelength lasers, using X-rays and gamma rays, are the same as their visible-light counterparts. There were discussions of such devices as early as 1960, the year the first ruby laser was demonstrated. The first announcement of a successful X-ray laser was made in 1972 by the University of Utah. Researchers spread thin layers of copper atoms on microscope slides and then heated them with pulses from a neodymium glass laser. This caused spots to appear on X-ray film in the direction of the layers and none in other directions. The announcement caused great excitement, but it was soon overshadowed by the fact that no other labs could reproduce the results, and the announcement was soon forgotten. In 1974, the University of Paris-Sud announced small laser gain in an aluminum plasma created by a pulse of laser light, but, once again, the claimed results were regarded skeptically by other labs. DARPA had been funding low-level research into high-frequency lasers since the 1960s. By late 1976 they had all but given up on them. They commissioned a report by Physical Dynamics, which outlined a number of possible uses of such a laser, including space-based weapons. None of these seemed promising, and DARPA dropped funding for X-ray laser research in favor of the more promising free electron laser. In June 1977, two well-known Soviet researchers, Igor Sobel'man, and Vladilen Letokhov, showed a film exposed the output of plasmas of chlorine, calcium and titanium, similar to the Utah results. They were careful to point out that the results were very preliminary and that further study was required. Over the next few years, a small number of additional papers on the topic were presented. The most pointed of these was Sobel'man's statements at a 1979 conference in Novosibirsk when he stated that he was observing lasing in a calcium plasma. As with earlier announcements, these results were met with skepticism. George Chapline attended the 1979 meeting where Sobel'man talked about his X-ray laser and how it might be pumped. Chapline was a member of Edward Teller's speculative research "O-Group" within LLNL. He was familiar with the unique underground nuclear tests made on behalf of the Defense Nuclear Agency (DNA), where the burst of X-rays produced by the nuclear reactions were allowed to travel down a long tunnel while the blast itself was cut off by large doors that slammed shut as the explosion approached. These tests were used to investigate the effects of X-rays from exoatmospheric nuclear explosions on reentry vehicles. He realized this was a perfect way to illuminate an X-ray laser. Chapline began to discuss the concept with fellow O-Group member Lowell Wood, Teller's protégé. The two collaborated on a major review of the X-ray laser field in 1975. They suggested such a device would be a powerful tool in materials science, for making holograms of viruses where a conventional laser's longer wavelength did not provide the required optical resolution, and as a sort of flash bulb for taking images of the nuclear fusion process in their inertial confinement fusion devices. This review contained the calculations that demonstrated both the rapid reaction times needed in such a device and the extremely high energies required for pumping. The review did not mention the concept of nuclear pumping. Chapline and Wood continued low-level work on the concept and came up with a testable concept. At this time the DNA was making plans for another of its X-ray effects tests, and Chapline's device could easily be tested in the same "shot". The test shot, Diablo Hawk, was carried out on 13 September 1978 as part of the Operation Cresset series. However, the instrumentation on Chapline's device failed, and there was no way to know if the system had worked or not. It was at this time that Congress directed that $10 million be given to both LLNL and Los Alamos National Laboratory (LANL) for weapons tests on entirely new concepts. Chapline was given the go-ahead to plan for a new test that would be dedicated to the X-ray laser concept. In the DNA tests, the reentry vehicle had to be retrieved for study after the test, which demanded the complex system of protective doors and other techniques that made these tests very expensive. For the X-ray laser test, all of this could be ignored, as the laser was designed to be destroyed in the explosion. This allowed the laser to be placed at the top of the vertical access shaft, which greatly lowered the cost of the test from the typical $40 million needed in a DNA shot. Given the schedule at the Nevada Test Site, their test would have to wait until 1980. George Chapline, Jr. (right) and George Maenchen (left) at the world's first X-ray laser prior to the Dauphin underground nuclear test. Peter Hagelstein was putting himself through MIT in 1974 when he applied for a Hertz Foundation scholarship. Teller was on the Hertz board, and Hagelstein soon had an interview with Lowell Wood. Hagelstein won the scholarship, and Wood then went on to offer him a summer position at LLNL. He had never heard of the lab, and Wood explained they were working on lasers, fusion, and similar concepts. Hagelstein arrived in May 1975, but nearly left when he found the area to be "disgusting" and immediately surmised they were working on weapons research when he saw the barbed wire and armed guards. He stayed on only because he met interesting people. Hagelstein was given the task of simulating the X-ray laser process on LLNL's supercomputers. His program, known as XRASER for "X-Ray laser", eventually grew to about 40,000 lines of code. He received his Masters in 1976 and took a full-time job at the lab with the aim of leading the development for a working laser. The idea was to use the lab's powerful fusion lasers as an energy source, as Hagelstein and Wood had suggested in their review paper. Hagelstein used XRASER to simulate about 45 such concepts before he found one that appeared to work. These used the lasers to heat metal foils and give off X-rays, but by the late 1970s, none of these experiments had been successful. After the Diablo Hawk failure, Hagelstein reviewed Chapline's idea and came up with a new concept that should be much more efficient. Chapline had used a lightweight material, a fibre taken from a local weed, but Hagelstein suggested using a metal rod instead. Although initially skeptical, Wood came to support the idea and successfully argued that both concepts be tested in Chapline's shot. The critical test was carried out on 14 November 1980 as Dauphin, part of Operation Guardian. Both lasers worked, but Hagelstein's design was much more powerful. The lab soon decided to move forward with Hagelstein's version, forming the "R Program", led by another O-Group member, Tom Weaver. 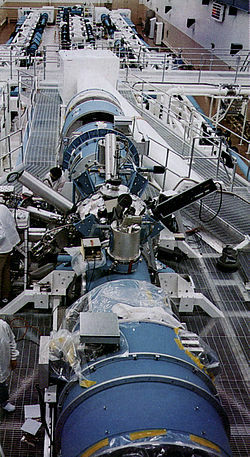 The Novette laser provided the energy needed for Hagelstein's first successful X-ray laser. It was at about the same time that the University of Hull publicly announced they had succeeded in making an X-ray laser. They used the output from a high-power infrared-frequency laser shining on tiny fibres of carbon to rapidly heat it into a plasma. Given the events after the Utah announcement, the group was very careful to hedge their explanation, going so far as to avoid calling it an X-ray laser, and instead referring to it as "extreme ultraviolet". They began a lengthy study of the effect, and two years later published a follow-up paper with extensive results concluding they had indeed produced amplification with a laser gain of about 5. Hagelstein published his PhD thesis in January 1981 on the "Physics of Short Wavelength Laser Design". In contrast to Chapline and Wood's earlier work which focused on civilian applications, the work's section on potential uses were all weapons taken from science fiction works. Hagelstein soon returned to the civilian side of the X-ray laser development, initially developing a concept in which the lab's fusion lasers would produce a plasma whose photons would pump another material. This was initially based on fluorine gas confined inside a chromium foil film. This proved to be too difficult to manufacture, so a system more like the earlier Soviet concepts was developed. The laser would deposit enough energy in a selenium wire to cause 24 of the electrons to be ionized, leaving behind 10 electrons that would be pumped by collisions with the free electrons in the plasma. 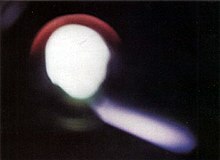 After several attempts using the Novette laser as an energy source, on 13 July 1984 the system worked for the first time. They calculated that the system produced laser amplification of about 700, which they considered to be strong evidence of lasing. Dennis Matthews presented the success at the October 1984 American Physical Society Plasma Physics Meeting in Boston, where Szymon Suckewer of Princeton University presented their evidence of lasing in carbon using a much smaller laser and confined the plasma using magnets. The success of the Dauphin test presented a potential new solution to the BMD problem. The X-ray laser offered the possibility that many laser beams could be generated from a single weapon in orbit, meaning a single weapon would destroy many ICBMs. This would so blunt the attack that any US response would be overwhelming in comparison. Even if the Soviets launched a full-scale attack, it would limit US casualties to 30 million. This presented a problem. As fellow LLNL physicist Hugh DeWitt put it, "It has long been known that Teller and Wood are extreme technological optimists and super salesman for hypothetical new weapons systems", or as Robert Park puts it, "Anyone who knows Teller's record recognizes that he is invariably optimistic about even the most improbable technological schemes." Although this salesmanship had little effect in US military circles, it proved to be a continual annoyance in Congress, having a negative effect on the lab's credibility when these concepts failed to pan out. To avoid this, Roy Woodruff, the associate director of the weapons section, went with them to ensure that the two did not oversell the concept. In meetings with various congressional groups, Teller and Wood explained the technology but refused to give dates on when it might be available. Only days later, in the 23 February 1981 edition of Aviation Week and Space Technology carried an article on the ongoing work. It described the Dauphin shot in some detail, going on to mention the earlier 1978 test, but incorrectly ascribing that to a KrF laser. [b] It went on to describe the battle-station concept in which a single bomb would be surrounded by laser rods that could shoot down as many as 50 missiles, and stated that "X-Ray lasers based on the successful Dauphin test are so small that a single payload bay on the Space Shuttle could carry to orbit a number sufficient to stop a Soviet nuclear weapons attack." This was the first in a series of such articles in this and other sources based on a "steady leak of top secret information." Karl Bendetsen chaired the efforts that would eventually present the basis for SDI to Reagan. Excalibur was one of three major concepts that were studied by the group. By this time, LLNL was not the only group lobbying the government about space-based weapons. In 1979, Daniel O. Graham had been asked by Ronald Reagan to begin exploring the idea of missile defense, and in the years since had become a strong advocate of what was earlier known as Project BAMBI (BAllistic Missile Boost Intercept), but now updated as "Smart Rocks". This consisted of a number of large satellites carrying many small, relatively simple missiles that would be launched at the ICBMs and track them like a conventional heat seeking missile. That same year, Malcolm Wallop and his aide Angelo Codevilla wrote an article on "Opportunities and Imperatives in Ballistic Missile Defense", which was to be published later that year in Strategic Review. They were later joined by Harrison Schmidt and Teller in forming what became known as the "laser lobby", advocating the building of laser-based BMD systems. Their concept, known simply as the Space Based Laser, used large chemical lasers placed in orbit. Graham was able to garner interest in a number of other Republican supporters, and formed a group that would help advocate for his concept. The group was chaired by Karl Bendetsen and was provided space at the Heritage Foundation. The group invited the laser lobby to join them to plan a strategy to introduce these concepts to the incoming president. At one of the Heritage meetings, Graham pointed out a serious problem for the Excalibur concept. He noted that if the Soviets launched a missile at the satellite, the US had only two choices – they could allow the missile to hit Excalibur and destroy it, or it could defend itself by shooting down the missile, which would also destroy Excalibur. In either case, a single missile would destroy the station, which invalidated the entire concept of the system in terms of having a single weapon that would destroy a large portion of the Soviet fleet. At the time, Teller was stumped. However, at the next meeting he and Wood had an answer, apparently Teller's own concept; instead of being based on satellites, Excalibur would be placed in submarines and "pop-up" when the Soviets launched their missiles. This would also bypass another serious concern, that nuclear weapons in space were outlawed and it was unlikely the government or public would allow these. The group first met with the president on 8 January 1982. Planned to last 15 minutes, the meeting went on for an hour. Present were Teller, Bendetsen, William Wilson and Joseph Coors of the "kitchen cabinet". Graham and Wallop were not represented and the group apparently dismissed their concepts. The same group met with the president another three times. Meanwhile, Teller continued to attack Graham's interceptor-based concept, as did other members of the group. There had been extensive studies on BAMBI in the 1960s and every few years since. These invariably reported the concept was simply too grandiose to work. Graham, seeing the others outmaneuver him after the first meetings, left the group and formed "High Frontier Inc.", publishing a glossy book on the topic in March 1982. Before publication, he had sent a copy to the US Air Force for comment, only to receive a yet another report that stated that the concept "had no technical merit and should be rejected." In spite of this review, the High Frontier book was widely distributed and quickly found followers. This led to a curious situation in early 1982, later known as the "laser wars", with the House supporting Teller and the Senate supporting Wallop's group. Later that summer, Teller complained to William F. Buckley on Firing Line that he did not have access to the President. This led to a 4 September meeting without the rest of the High Frontier group. Teller claimed that recent advances in Soviet weapons would soon put them in a position to threaten the US, and that they needed to build Excalibur without delay. Without Woodruff to temper his comments, Teller told the president that the system would be ready for deployment in five years and that it was time to talk about "assured survival" instead of "assured destruction". Aviation Week reported that Teller asked for $200 million a year "over the next several years" to develop it. George Keyworth was skeptical of the High Frontier concepts, but eventually came to support them publicly. George A. Keyworth, II had been appointed to the position as Reagan's science advisor at the suggestion of Teller. Nevertheless, he was initially skeptical of the concepts. He was present at the first meeting with the Heritage group, and a few days later at a White House staff meeting he was quoted expressing his concerns that the concepts had "very difficult technical aspects." Shortly thereafter, Edwin Meese suggested he form an independent group to study the feasibility of such a system. The work was passed to Victor H. Reis, formerly of the Lincoln Laboratory and now the assistant director of the Office of Science and Technology Policy. He formed a panel that included Charles Townes, Nobel winner as the co-inventor of the MASER and laser, Harold Agnew, former director of LANL, and chaired by Edward Frieman, vice president of military science contractor Science Applications International Corporation (SAIC). Keyworth gave them a year to study the issues, and did not interfere with their process. The formation of this panel apparently worried Teller, who suspected they would not agree with his assessments of Excalibur's viability. In response, he stepped up his fundraising efforts, spending a considerable time in 1982 in Washington lobbying for a Manhattan Project-level effort to bring the system to production as soon as possible. While he was not part of the Frieman panel, he was part of the White House Science Council, and appeared at their meetings to continue pressuring for further development. In June 1982, the Frieman panel asked LLNL to review their own progress. Led by Woodruff, the lab returned a fairly conservative review. They suggested that if they were provided $150–$200 million a year over six years they would be at the point that they could decide whether the concept was feasible. They stated that a weapon could not possibly be ready before the mid-1990s, at the very earliest. In its final report, the panel concluded that the system simply couldn't be thought of as a military technology. Teller was apoplectic, and threatened to resign from the Science Council. He ultimately agreed to a second review by LLNL. This review was even more critical of the concept, stating that, due to energy limits, the system would only be useful against missiles at short range and that would limit it to those missiles launched from locations close to the United States. In the meantime, while Keyworth continued to support the concepts publicly, he was careful not to make statements that sounded like outright support. He spoke of the promise of the systems and their potential. But when asked about Excalibur after receiving the Frieman report, he was much blunter and told reporters that the concept was probably unusable. In 1985, he quit the position and returned to private industry. Teller's continual presence in Washington soon came to the attention of his former friend, Hans Bethe. Bethe had worked with Teller on the H-bomb but had since gone on to become a major critic of the bomb industry, and especially ABM systems. He wrote several seminal articles in the 1960s that excoriated the US Army's efforts to build an ABM system, demonstrating that any such system was relatively inexpensive to defeat and would simply prompt the Soviets to build more ICBMs. Bethe remained an opponent of ABM systems, and when he heard of the Excalibur effort he arranged a trip to LLNL to grill them on the concept. In a two-day series of meetings in February 1983, Hagelstein managed to convince Bethe that the physics were sound. However, Bethe remained convinced that the idea was unlikely to be able to stop a Soviet attack, especially if they designed their systems with the knowledge that such a system existed. He soon co-authored a report by the Union of Concerned Scientists outlining objections to the concept, the simplest being that the Soviets could simply overwhelm it. President Reagan delivering the 23 March 1983 speech initiating SDI. The 1984 Strategic Defense Initiative concept of a generic space based laser (SBL), in this case a hydrogen fluoride laser. Reagan had long been deeply critical of current nuclear doctrine, which he and his aides derided as a "suicide pact." He was extremely interested in the Heritage group's proposals. While he made no overt moves at the time, he spent a significant amount of time in 1982 gathering information from various sources on whether or not the system was possible. Reports by both the Department of Defense and the White House's own Science Council would feed into this process. In early 1983, before many of these reports had been returned, Reagan made the decision to announce what would become SDI. Few people were told of this decision and even Keyworth only learned of it a few weeks before it was going to be announced. When he showed a draft of the speech to Reis, Reis stated it was "Laetrile", referring to the quack cure for cancer. He suggested Keyworth demand a review by the Joint Chiefs of Staff or resign. Keyworth did neither, prompting Reis to resign a short time later, taking a position at SAIC. After a year of presentations from the Heritage group and others, on 23 March 1983 Reagan went on television and announced that he was calling "upon the scientific community who gave us nuclear weapons to turn their great talents to the cause of mankind and world peace: to give us the means of rendering these nuclear weapons impotent and obsolete." Many historical overviews place much of the impetus for this speech directly on Teller and Wood's presentations, and thus indirectly on Hagelstein's work. On the same day that the president was giving his "Star Wars" speech, the Department of Defense was presenting its report the Senate on the progress of DARPA's ongoing beam weapon research. The director of the Directed Energy Program said that while they offered promise, their "relative immaturity" made it difficult to know if they would ever be used, and in any event would be unlikely to have any effect until the "1990s or beyond". The Undersecretary of Defense, Richard DeLauer, later stated that these weapons were at least two decades away and development would have "staggering" costs. 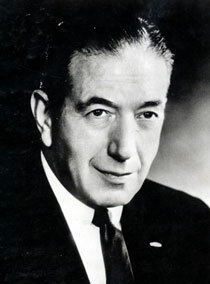 The Secretary of Defense Caspar Weinberger formed the Strategic Defense Initiative Office in April 1984, appointing General James Abrahamson as its head. Early estimates were for a budget of $26 billion over the first five years. Only a few days after Reagan's speech, on 26 March 1983, the second test of Hagelstein's design was carried out as part of the Cabra shot in the Operation Phalanx test series. Instrumentation again proved to be a problem and no good results were obtained. The identical experiment was carried out on 16 December 1983 in the Romano shot of the following Operation Fusileer series. This test showed gain and lasing. On 22 December 1983, Teller wrote a letter on LLNL letterhead to Keyworth stating that the system had concluded its scientific phase and was now "entering engineering phase". When Woodruff learned of the letter he stormed into Teller's office and demanded that he send a retraction. Teller refused, so Woodruff wrote his own, only to be ordered not to send it by Roger Batzel, the lab's director. Batzel rebuffed Woodruff's complaints, stating that Teller was meeting the President as a private citizen, not on behalf of Livermore. Shortly after, LLNL scientist George Maenchen circulated a memo noting that the instrument used to measure the laser output was subject to interactions with the explosion. The system worked by measuring the brightness of a series of beryllium reflectors when they were illuminated by the lasers. Maenchen noted that the reflectors themselves could give off their own signals when heated by the bomb, and unless they were separately calibrated, there was no way to know if the signal was from the laser or the bomb. This calibration had not been carried out, rendering the results of all of these tests effectively useless. By this time, Los Alamos had been developing nuclear anti-missile weapons of its own, updated versions of the 1960s Casaba/Howitzer concepts. Given the constant stream of news about Excalibur, they added a laser to one of their own underground tests, shot Correo, also part of Fusileer. The 2 August 1984 test used different methods to measure the laser output, and these suggested that little or no lasing was taking place. George Miller received a "caustic" letter from Paul Robinson of Los Alamos, which stated they "doubted the existence of the X-ray laser had been demonstrated and that Livermore managers were losing their credibility because of their failure to stand up to Teller and Wood." The Union of Concerned Scientists presented a criticism of Excalibur in 1984 as part of a major report on the entire SDI concept. They noted that a key problem for all of the directed energy weapons was that they only worked in space, as the atmosphere quickly disperses the beams. This meant that the systems had to intercept the missiles when they were above the majority of the atmosphere. Additionally, all of the systems relied on using infrared tracking of the missiles, as radar tracking could be easily rendered unreliable using a wide variety of countermeasures. Thus, the interception had to take place in the period where the missile motor was still firing. This left only a brief period in which the directed energy weapons could be used. The report claimed that this could be countered by simply increasing the thrust of the missile. Existing missiles fired for about three to four minutes, with at least half of that taking place outside the atmosphere. [c] They showed that it was possible to reduce this to about a minute, timing things so the motor was burning out just as the missile was reaching the upper atmosphere. If the warheads were quickly separated at that point, the defense would have to shoot at the individual warheads, thus facing the same poor cost-exchange ratios that had made the earlier ABM systems effectively useless. And once the rocket had stopped firing, tracking would be far more difficult. One of the key claims for the Excalibur concept was that a small number of weapons would be enough to counter a large Soviet fleet, whereas the other space-based systems would require huge fleets of satellites. The report singled out Excalibur as particularly vulnerable to the problem of quick-firing missiles because the only way to address this would be to build many more weapons so more would be available in the remaining short time window. At that point it no longer had any advantage over the other systems, while still having all of the technical risks. The report concluded that the X-ray laser would "offer no prospect of being a useful component" of a BMD system. At this point, no detailed theoretical work on the concepts had been carried out, let alone any practical tests. In spite of this, Teller once again used LLNL letterhead to write to several politicians telling them of the great advance. This time Teller copied Batzel, but not Woodruff. Once again Woodruff asked to send a counterpoint letter, only to have Batzel refuse to let him send it. Super-Excalibur was tested on the 23 March 1985 Cottage shot of Operation Grenadier, exactly two years after Reagan's speech. Once again the test appeared to be successful, and unnamed researchers at the lab were reported to have stated that the brightness of the beam had been increased six orders of magnitude (i.e. between 1 and 10 million times), a huge advance that would pave the way for a weapon. Teller immediately wrote another letter touting the success of the concept. This time he wrote to Paul Nitze, the head negotiator of START, and Robert McFarlane, head of the US National Security Council. Nitze was about to begin negotiations on the START arms limitations talks. Teller stated that Super-Excalibur would be so powerful that the US should not seriously negotiate on any sort of even footing and that the talks should be delayed because they included limits or outright bans on underground testing that would make further work on Super-Excalibur almost impossible. Commenting on the results, Wood set an optimistic tone, stating that "Where we stand between inception and production I can't tell you... [but] I am much more optimistic now about the utility of x-ray lasers in strategic defense that when we started." In contrast, George H. Miller, LLNL's new deputy associate director, set a much more cautious tone, stating that while the lasing action had been demonstrated, "what we have not proven is whether you can make a militarily useful x-ray laser. It's a research program where a lot of the physics and engineering issues are still be examined..."
Several months later, physicists at Los Alamos reviewed the Cottage results and noted the same problem that Maenchen had pointed out earlier. They added such a calibration to a test they were already carrying out and found that the results were indeed as bad as Maenchen has suggested. The targets contained oxygen that glowed when heated and produced spurious results. On top of this, Livermore scientists studying the results noted that the explosion created sound waves in the rod before the lasing was complete, ruining the focus of the laser. A new lasing medium would be required. 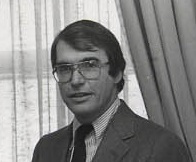 Livermore ordered an independent review of the program by Joseph Nilsen, who delivered a report on 27 June 1985 that agreed the system was not working. Given the gravity of the situation, a further review by the JASONs was carried out on 26 and 27 September and came to the same conclusion. It now appeared that there was no conclusive evidence that any lasing had been seen in any of the tests, and if it had, it was simply not powerful enough. In July, Miller went to Washington to brief the SDIO on their progress. While the instrumentation concerns had been publicly reported on multiple occasions by this point, he failed to mention these issues. Several sources noted this, and one stated they "were furious because Miller used the old view graphs on the experiment, which did not take into account the new disturbing findings." Later that year, James Abrahamson, head of SDIO, called a 6 September 1985 meeting to review the status of the programs. Roy Woodruff was there to present LLNL's status. Teller arrived in the middle of the meeting and stated that Reagan had agreed that $100 million should be turned over to Excalibur. Without questioning this, Abrahamson then assigned $100 million to him, taking it from other programs. As one official noted, "Do you really want to challenge someone who says he's talked to the President? Do you really want to risk your status by asking Reagan if that's what he really said?" It was at this point that Woodruff, who had attempted to reign in Teller and Wood's continual overselling of the project, finally had enough. He filed a grievance with LLNL management, complaining that Teller and Wood "undercut my management responsibility for the X-ray laser program" and that they repeatedly made "optimistic, technical incorrect statements regarding this research to the nation's highest policy-makers." When he learned that Teller and Wood had made another presentation to Abrahamson, on 19 October 1985 he resigned his position and asked to be moved. At the time he said little about it, although there was widespread speculation in the press over why he had quit the program. The fact that it occurred the same day as a critical review in the influential journal Science was dismissed. Teller refused to talk about the matter, while Woodruff simply pointed reporters to a statement put out by the lab. Woodruff found himself banished to a windowless room he called "Gorky West", referring to the Russian city of Gorky where Soviet dissidents were sent on internal exile. Miller replaced him as associate director. A few months later, Woodruff began receiving condolences from other members of the lab. When he asked why, he was told that Batzel had stated he resigned his position due to stress and a mid-life crisis. Woodruff went to Harold Weaver, head of the Berkeley-based lab oversight committee, to tell his side of the story. He learned that the group had already investigated, by sending a liaison to meet with Batzel, but had not bothered to talk to Woodruff. He attempted to explain his concerns about the overselling of the technology, but as Weaver later put it, "we were bamboozled by the laboratory." Wood used this argument during congressional meetings on SDI. When asked about the possibility of a Soviet version of Excalibur and what a US response might be, Wood stated that X-ray lasers could be used against any object in space, referring to this as a "counter-defensive" role. This claim was quickly turned against him; if Excalibur could destroy a Soviet SDI system, then a Soviet Excalibur could do the same to theirs. Instead of ending the threat of nuclear weapons, Excalibur appeared to end the threat of SDI. More worryingly, when one considered such scenarios, it appeared the best use of such a system would be to launch the first strike, and then use the lasers to blunt the enfeebled response. Miller immediately sent a letter countering Wood's claims, but the damage was done. Shortly thereafter, Hugh DeWitt wrote a letter to the New York Times about Excalibur. He explained the actual state of the program, stating that it was "still in its infancy" and that developing it completely "might require 100 to 1200 more nuclear tests and could easily require ten to twenty more years." DeWitt and Ray Kidder then wrote to Edward Kennedy and Joseph Marky to complain that LLNL's objection to ongoing talks of a nuclear test ban rested solely on the X-ray program. While this was taking place in the press, LLNL was preparing for another test shot, Goldstone, a part of Operation Charioteer scheduled for December 1985. After the problems with the earlier tests were noted, Los Alamos had suggested LLNL design a new sensor for this shot. LLNL refused, saying this would delay the test about six months and would have "unfavorable political repercussions for the program." Instead, Goldstone used a new reflector consisting of hydrogen gas which would address the calibration concerns. These devices demonstrated that the output of the lasers was at best 10% of what the theoretical predictions required, and at worse, had produced no laser output at all. Focusing was the primary concern of the next test, Labquark, carried out on 20 September 1986. This was apparently successful, suggesting the major problems with focusing had been addressed. A follow-up focusing test, Delamar, was carried out on 18 April 1987. This test demonstrated that the focusing in both this test and Labquark appeared to be an illusion; the beam had not narrowed and was not focused enough for long-range interceptions. When the news broke, Teller blamed Woodruff, stating that he had not been "a constructive member of the team." Teller continued to claim the tests were actually a success, but that he was prevented from telling the real story due to government secrecy. In 1984 the American Physical Society (APS) approached Keyworth with the idea of setting up a blue-ribbon panel to study the various weapons concepts independent of the labs. Keyworth and Abrahamson both agreed with this idea, giving the team complete access to classified materials as required. The APS panel took almost a year to form, and was co-chaired by Nicolaas Bloembergen, who won the 1981 Nobel Prize in Physics for his work on lasers, and Kumar Patel, who had invented the CO2 laser. The sixteen other members of the panel were similarly distinguished. The report was completed in 18 months, but due to the classified contents it required about another 7 months to clear the censors. The redacted version was released to the public on 23 April 1987, four years to the day after the original Star Wars speech. The report, "The Science and Technology of Directed Energy Weapons", stated that the technologies in question were at least a decade away from the stage where it could be clearly stated whether or not they would even work. The report also noted that the energy requirements for a directed energy weapon used as a BMD asset was much higher than the energy needed for the same weapon to be used against those assets. This meant that even if the SDI weapons could be successfully developed, they could be attacked by similar weapons that would be easier to develop. The movement of space-based assets in well-known orbital paths also made them much easier to attack and over longer times than the same systems being used to attack ICBMs, whose initial positions were unknown and disappeared in minutes. A specific concern, in this case, was the susceptibility of the optics, and especially their coatings, of the various space-based weapons. Even relatively low-intensity laser light could damage these devices, blinding their optics and rendering the weapons unable to track their targets. Given the light weight of the Excalibur-type weapons, the Soviets could rapidly pop-up such a device just prior to launching an attack, and blind all the SDI assets in the region even with a low-powered weapon. During the later half of 1987, Woodruff found that no work was being assigned to him. With little to do, the lab threatened to cut his salary. On 2 February 1987, Batzel gave him a memo that stated any problems he had were his own making. His final appeal, to the university president David Gardner, was likewise turned down. In response, in April 1987 Woodruff filed two official grievances. This prompted a private review by John S. Foster Jr. and George Dacey at the urging of the Department of Energy. This report apparently had no effect. The story became known within the labs, and the way Batzel retaliated against Woodruff became a major point of concern among the employees. A number of scientists in the lab were so upset at his treatment they wrote an April 1987 letter about it to Gardner. When they asked for people to sign the cover letter, they were "practically stampeded" by volunteers. This was one of a number of growing signs of turmoil in the labs. In October 1987, someone sent a copy of Woodruff's grievance to the Federation of American Scientists, who then turned it over to the newspapers. Woodruff was visiting Los Alamos when the first stories came in over the Associated Press wire, which resulted in a standing ovation by the other scientists. The press, now largely turned against SDI, made it a major issue they came to refer to as the "Woodruff Affair". The press articles on the topic, which were generally more widespread in California newspapers, came to the attention of California Congressman George Brown Jr.. Brown triggered an investigation by the General Accounting Office (GAO). Brown later stated that Teller's version of events was "politically motivated exaggerations aimed at distorting national policy and funding decisions." The GAO report stated that they found a wide variety of opinions on the X-ray laser project, but that Teller and Wood were "essentially off the scale on the optimistic side." They noted that Woodruff's attempts to correct these statements were blocked, and that his complaints about the lab's behaviour resulted in him becoming what the lab insider called a "nonperson" in which longtime colleagues stopped talking to him. But the report also generally agreed with the lab on most other points, and then went on to accuse Woodruff of falsely stating he was a member of Phi Beta Kappa. It was later revealed that a letter submitted by Ray Kidder for inclusion in the report had been removed. Kidder strongly agreed with Woodruff's version of events, and stated Woodruff's attempt to send letters "provided a frank, objective and balanced description of the Program as it existed at the time." Batzel had already decided to retire by this time, and his position was filled by John Nuckolls. Nuckolls gave Woodruff the position as an assistant associate director for treaty verification efforts, a position that was of some importance as SDI began to wind down while at the same time new treaties made such verification efforts important. However, in 1990 Woodruff left to take a position at Los Alamos. As Woodruff had feared, the end result was to seriously erode the reputation of LLNL in the government. John Harvey, LLNL's director for advanced strategic systems, found that when he visited Washington he was asked: "what's the next lie that's going to come out?" Brown later commented that "I'm not inclined to call it an earthshattering report, but what has happened has created a lot of questions about the objectivity and reliability of the laboratory." By 1986 it was reported that the SDIO saw Excalibur primarily as an anti-satellite weapon, and perhaps useful as a discrimination tool to tell warheads from decoys. This, along with the results from the most recent tests, made it clear it was no longer considered to be useful as a BMD weapon on its own. By the late 1980s, the entire concept was being derided in the press and by other members of the lab; the New York Times quoted George Maenchen as stating "All these claims are totally false. They lie in the realm of pure fantasy." The stories prompted a 60 Minutes interview with Teller, but when they began to question him on Woodruff, Teller attempted to rip off the microphone. Funding for Excalibur peaked in 1987 at $349 million and then began to rapidly reverse. The March 1988 budget ended development as a weapon system, and the original R group was shut down. In the 1990 budget, Congress eliminated it as a separate item. X-ray laser research continued at LLNL, but as a purely scientific project, not as a weapons program. Another test, Greenwater, had already been planned but was ultimately cancelled. In total, ten underground tests were used in the development program. Brilliant Pebbles replaced Excalibur as LLNL's contribution to the SDI efforts. It became the centerpiece of post-SDI programs, until the majority of the original SDI concepts were cancelled in 1993. With Excalibur effectively dead, in 1987 Teller and Wood began pitching Wood's new concept, Brilliant Pebbles. [h] They first presented this to Abrahamsom in October and followed up with a March 1988 meeting with Reagan and his aides. The new concept used a fleet of about 100,000 small independent rockets that would weight about 5 pounds (2.3 kg) each and would destroy the missiles or warheads by colliding with them, no explosive required. Because they were independent, attacking them would require an equally huge number of interceptors. Better yet, the entire system could be developed in a few years and would cost $10 billion for a complete fleet. Brilliant Pebbles was essentially an updated version of the Project BAMBI concepts Graham had been suggesting in 1981. At that time, Teller had continually derided the idea as "outlandish" and used his influence to ensure the concept did not receive serious attention. Ignoring his previous concerns with the concept, Teller went on to promote Brilliant Pebbles using arguments he had previously dismissed when raised about Excalibur; among them, he now stressed that the system did not place or explode nuclear weapons in space. When critics pointed out that the idea fell prey to the issues raised by the Union of Concerned Scientists, Teller simply ignored them. In spite of all of these red flag issues, and the decades-long string of Air Force and DARPA reports suggesting the concept just wouldn't work, Reagan once again enthusiastically embraced their latest concept. However, by 1989 the weight of each pebble had grown to 100 pounds (45 kg) and the cost of a small fleet of 4,600 of them had ballooned to $55 billion. It remained the centerpiece of the US BMD efforts into 1991 when the numbers were further cut to somewhere between 750 and 1000. President Clinton indirectly canceled the project on 13 May 1993 when the SDI office was reorganized as the Ballistic Missile Defense Organization (BMDO) and focused their efforts on theater ballistic missiles. Throughout SDI's history, journalist William Broad of the New York Times was highly critical of the program and Teller's role within it. His works have generally ascribed the entire basis for SDI to Teller's overselling of the Excalibur concept, convincing Reagan that a credible defensive system was only a few years away. He has repeatedly made the claim that "Over the protests of colleagues, Teller mislead the highest officials of the United States Government into the deadly folly known as Star Wars". In particular, Broad points to the meeting between Teller and Reagan in September 1982 as the key moment in SDI's creation. Years later, Broad described the meeting this way: "For half an hour, Teller deployed x-ray lasers all over the Oval Office, reducing hundreds of incoming Soviet missiles to radioactive chaff, while Reagan, gazing up ecstatically, saw a crystal shield, covering the Last Hope of Man." This basic telling of the story is widely accepted in many contemporary sources; in their biography, Edward Teller: Giant of The Golden Age of Physics, Blumberg and Panos essentially make the same claim, as does Robert Park in his Voodoo Science. Others give less credence to Teller's persuasive capabilities; Ray Pollock, who was present at the meeting, described in a 1986 letter that "I sat in on the mid-September 1982 meeting Teller had in the Oval Office... Teller got a warm reception but that is all. I had the feeling he confused the president." In particular, he notes Teller's opening comment about "Third generation, third generation! "[i] as being a point of confusion. Keyworth was later quoted as calling the meeting "a disaster." Others report that Teller's going around the official channels to arrange the meeting angered Caspar Weinberger and other members of the Department of Defense. Others debate Excalibur's role in SDI from the start. It is said that Reagan's "kitchen cabinet" was pushing for some sort of action on BMD even before this period. Charles Townes suggested that the key impetus to move forward was not Teller, but a presentation by the Joint Chiefs of Staff made only a few weeks before his speech that suggested shifting some development funding to defensive systems. Reagan mentioned this during the speech introducing SDI. Others give the nod to Robert McFarlane and the United States National Security Council as a whole. In a 1999 interview with Nigel Hey, Teller himself would suggest that he had little to do with the president's decision to announce SDI. He also did not want to talk about the X-ray laser and claimed that he did not even recognize the name "Excalibur". There is also considerable debate on whether or not Excalibur had a direct effect on the failure of the Reykjavík Summit. During the October 1986 meeting, Reagan and Mikhail Gorbachev initially considered the issue of the destabilizing effect of intermediate-range missiles in Europe. As both proposed various ideas to eliminate them, they quickly began to ratchet up the numbers and types of weapons being considered. Gorbachev started with his acceptance of Reagan's 1981 "double zero option" for intermediate-range missiles but then countered with an additional offer to eliminate 50% of all nuclear-armed missiles. Reagan then countered with an offer to eliminate all such missiles within ten years, as long as the US was free to deploy defensive systems after that period. At that point, Gorbachev offered to eliminate all nuclear weapons of any sort within that same time period. It was at this point that SDI came into the negotiations. Gorbachev would only consider such a move if the US limited their SDI efforts to the laboratory for that ten-year period. Excalibur, which Teller's letter of only a few days earlier once again claimed was ready to enter engineering, would need to be tested in space before that point. Reagan refused to back down on this issue, as did Gorbachev. Reagan attempted one last time to break the logjam, asking if he would really "turn down a historic opportunity because of a single word" ("laboratory"). Gorbachev stated it was a matter of principle; if the US continued real-world testing while the Soviets agreed to dismantle their weapons, he would return to Moscow to be considered a fool. Lasers rely on two physical phenomena to work, stimulated emission and population inversion. An atom is made of a nucleus and a number of electrons orbiting in shells around it. These particles can be found in any one of a number of discrete energy states, defined by quantum mechanics. The energy levels depend on the structure of the nucleus, so they vary from element to element. Electrons can gain or lose energy by absorbing or emitting a photon with the same energy as the difference between two allowable energy states. This is why different elements have unique spectrums and gives rise to the science of spectroscopy. Electrons will naturally release photons if there is an unoccupied lower energy state. An isolated atom would normally be found in the ground state, with all of its electrons in their lowest possible state. However, due to the surrounding environment adding energy, the electrons will be found in a range of energies at any given instant. Electrons that are not in the lowest possible energy state are known as "excited", as are the atoms that contain them. Stimulated emission occurs when an excited electron can drop by the same amount of energy as a passing photon. This causes a second photon to be emitted, closely matching the original's energy, momentum, and phase. Now there are two photons, doubling the chance that they will cause the same reaction in other atoms. As long as there is a large population of atoms with electrons in the matching energy state, the result is a chain reaction that releases a burst of single-frequency, highly collimated light. The process of gaining and losing energy is normally random, so under typical conditions, a large group of atoms is unlikely to be in a suitable state for this reaction. Lasers depend on some sort of setup that results in many electrons being in the desired states, a condition known as a population inversion. An easy to understand example is the ruby laser, where there is a metastable state where electrons will remain for a slightly longer period if they are first excited to even higher energy. This is accomplished through optical pumping, using the white light of a flash lamp to increase the electron energy to a blue-green or ultraviolet frequency. The electrons then rapidly lose energy until they reach the metastable energy level in the deep red. This results in a brief period where a large number of electrons lie at this medium energy level, resulting in a population inversion. At that point any one of the atoms can emit a photon at that energy, starting the chain reaction. An X-ray laser works in the same general fashion as a ruby laser, but at much higher energy levels. The main problem in producing such a device is that the probability of any given transition between energy states depends on the cube of the energy. Comparing a ruby laser that operates at 694.3 nm to a hypothetical soft X-ray laser that might operate at 1 nm, this means the X-ray transition is 6943, or a little over 334 million times less likely. To provide the same total output energy, one needs a similar increase in input energy. Instead, X-ray lasers rely on the speed of various reactions to create the population inversion. When heated beyond a certain energy level, electrons dissociate from their atoms entirely, producing a gas of nuclei and electrons known as a plasma. Plasma is a gas, and its energy causes it to adiabatically expand according to the ideal gas law. As it does, its temperature drops, eventually reaching a point where the electrons can reconnect to nuclei. The cooling process causes the bulk of the plasma to reach this temperature at roughly the same time. Once reconnected to nuclei, the electrons lose energy through the normal process of releasing photons. Although rapid, this release process is slower than the reconnection process. This results in a brief period where there are a large number of atoms with the electrons in the high-energy just-reconnected state, causing a population inversion. To produce the required conditions, a huge amount of energy needs to be delivered extremely rapidly. It has been demonstrated that something on the order of 1 watt per atom is needed to provide the energy required to produce an X-ray laser. Delivering so much energy to the lasing medium invariably means it will be vaporized, but the entire reaction occurs so rapidly this is not necessarily a problem. It does imply that such systems will be inherently one-shot devices. Finally, another complication is that there is no effective mirror for X-ray frequency light. In a common laser, the lasing medium is normally placed between two partial mirrors that reflect some of the output back into the media. This greatly increases the number of photons in the media and increases the chance that any given atom will be stimulated. More importantly, as the mirrors reflect only those photons traveling in a particular direction, and the stimulated photons will be released in the same direction, this causes the output to be highly focused. Lacking either of these effects, the X-ray laser has to rely entirely on stimulation as the photons travel through the media only once. To increase the odds that any given photon causes stimulation, and to focus the output, X-ray lasers are designed to be very long and skinny. In this arrangement, most of the photons being released naturally through conventional emissions in random directions will simply exit the media. Only those photons that happen to be released traveling down the long axis of the media have a reasonable chance of stimulating another release. A suitable lasing medium would have an aspect ratio on the order of 10,000. Although most details of the Excalibur concept remain classified, articles in Nature and Reviews of Modern Physics, along with those in optics-related journals, contain broad outlines of the underlying concepts and outline possible ways to build an Excalibur system. The basic concept would require one or more lasing rods arranged into a module along with a tracking camera. These would be arranged on a framework surrounding the nuclear weapon in the center. Nature's description shows a number of such lasing rods embedded in a plastic matrix forming a cylinder around the bomb and tracking device, meaning that each device would be able to attack a single target. The accompanying text, however, describes it as having several aimable modules, perhaps four. Most other descriptions show a number of such modules arranged around the bomb that can be separately aimed, which more closely follows the suggestions of there being several dozen such lasers per device. vary from about 10−5 to 10−2; that is, they have laser gain less than one. In the worst-case scenario, with the widest dispersion angle and the lowest enhancement, the pump weapon would have to be approximately 1 MT for a single laser to deposit enough energy on the booster to be sure to destroy it at that range. Using best-case scenarios for both values, about 10 kT are required. The exact material of the lasing medium has not been specified. The only direct statement from one of the researchers was by Chapline, who described the medium on the original Diablo Hawk test being "an organic pith material" from a weed growing on a vacant lot in Walnut Creek, a town a short distance away from Livermore. Various sources describe the later tests using metals; selenium, zinc and aluminum have been mentioned specifically. The US Army ran an ongoing BMD program dating into the 1940s. This was initially concerned with shooting down V-2-like targets, but an early study on the topic by Bell Labs suggested their short flight times would make it difficult to arrange an interception. The same report noted that the longer flight times of long-range missiles made this task simpler, in spite of various technical difficulties due to higher speeds and altitudes. This led to a series of systems that started with Nike Zeus, then Nike-X, Sentinel and finally the Safeguard Program. These systems used short and medium-range missiles equipped with nuclear warheads to attack incoming enemy ICBM warheads. The constantly changing concepts reflect their creation during a period of rapid changes in the opposing force as the Soviet ICBM fleet was expanded. The interceptor missiles had a limited range, less than 500 miles (800 km),[k] so interceptor bases had to be spread across the United States. Since the Soviet warheads could be aimed at any target, adding a single ICBM, which were becoming increasingly inexpensive in the 1960s, would (theoretically) require another interceptor at every base to counter it. This led to the concept of the cost-exchange ratio, the amount of money one had to spend on additional defenses to counter a dollar of new offensive capability. Early estimates were around 20, meaning every dollar the Soviets spent on new ICBMs would require the US to spend $20 to counter it. This implied the Soviets could afford to overwhelm the US's ability to build more interceptors. With MIRV, the cost-exchange ratio was so one-sided that there was no effective defense that could not be overwhelmed for little cost, as pointed out in a famous 1968 article by Bethe and Garwin. This is precisely what the US did when the Soviets installed their A-35 anti-ballistic missile system around Moscow; by adding MIRV to the Minuteman missile fleet, they could overwhelm the A-35 without adding a single new missile. The bright spikes extending below the initial fireball of one of 1952's Operation Tumbler–Snapper test shots are known as the "rope trick effect" caused by the flash of X-rays released by the explosion heating the steel guy-wires white hot. Excalibur intended to focus these X-rays to allow attacks over long distances. During high-altitude tests in the late 1950s and early 1960s, it was noticed that the burst of X-rays from a nuclear explosion were free to travel long distances, unlike low altitude bursts where the air interacted with the X-rays within a few tens of meters. This led to new and unexpected effects. It also led to the possibility of designing a bomb specifically to increase the X-ray release, which could be made so powerful that the rapid deposit of energy on a metal surface would cause it to explosively vaporize. At ranges on the order of 10 miles (16 km), this would have enough energy to destroy a warhead. This concept formed the basis of the LIM-49 Spartan missile and its W71 warhead. Due to the large volume in which the system was effective, it could be used against warheads hidden among radar decoys. When decoys are deployed along with the warhead they form a threat tube about a 1 mile (1.6 km) wide and as much as 10 miles (16 km) long. Previous missiles had to get within a few hundred yards (meters) to be effective, but with Spartan, one or two missiles could be used to attack a warhead anywhere within this cloud of material. This also greatly reduced the accuracy needed for the missile's guidance system; the earlier Zeus was limited to about 75 miles (121 km) due to the limits of the resolution of the radar systems. Studies of high altitude nuclear explosions such as this Kingfish shot of Operation Fishbowl inspired the concept of X-rays attacks. The use of X-ray based attacks in earlier generation BMD systems had led to work to counter these attacks. In the US, these were carried out by placing a warhead (or parts of it) in an underground cavern connected by a long tunnel to a second cavern where an active warhead was placed. Before firing, the entire site was pumped into a vacuum. When the active warhead fired, the X-rays traveled down the tunnel to hit the target warhead. To protect the target from the blast itself, huge metal doors slammed shut in the tunnel in the short time between the X-rays arriving and the blast wave behind it. Such tests had been carried out continuously since the 1970s. Evidence supporting the idea that warheads could be "hardened" against the effects of ablation generated shock waves exists in the two lethal ranges stated for the W71, which had a lethal exo-atmospheric radius of 12 miles (19 km) against warheads without countermeasures, but as little as 4 miles (6.4 km) against warheads that did. A potential solution to the problem of MIRV is to attack the ICBMs during the boost phase before the warheads have separated. This destroys all of the warheads with a single attack, rendering MIRV superfluous. Additionally, attacking during this phase allows the interceptors to track their targets using the large heat signature of the booster motor. These can be seen at distances on the order thousands of miles, with the proviso that they would be below the horizon for a ground-based sensor and thus require sensors being located in orbit. DARPA had considered this concept starting in the late 1959s, and by the early 1960s had settled on the Ballistic Missile Boost Intercept concept, Project BAMBI. BAMBI used small heat-seeking missiles launched from orbiting platforms to attack Soviet ICBMs as they launched. However, in order to keep enough BAMBI interceptors within the range of the Soviet missiles while the interceptor's launch platforms continued to move in orbit, an enormous number of platforms and missiles would be required. The basic concept continued to be studied through the 1960s and 1970s. A serious problem was that the interceptor missiles had to be very fast to reach the ICBM before its motor stopped firing, which required a larger motor on the interceptor, meaning higher weight to launch into orbit. As the difficulties of this problem became clear, the concept evolved into the "ascent phase" attack, which used more sensitive seekers that allowed the attack to continue after the ICBM's motor had stopped firing and the warhead bus was still ascending. In all of these studies, the system would require an enormous amount of weight to be lifted into orbit, typically hundreds of millions of pounds, well beyond any reasonable projections of US capability. The US Air Force repeatedly studied these various plans and rejected them all as essentially impossible. The Excalibur concept appeared to represent an enormous leap in BMD capability. By focussing the output of a nuclear explosion into X-rays, essentially a smaller version of the W71, the range and effective power of BMD was greatly enhanced. A single Excalibur could attack multiple targets across hundreds or even thousands of kilometers. Because the system was both small and relatively lightweight, the Space Shuttle could carry multiple Excalibur's into orbit in a single sortie. Super Excalibur, a later design, would theoretically be able to shoot down the entire Soviet missile fleet singlehandedly. When first proposed, the plan was to place enough Excaliburs in orbit so that at least one would be over the Soviet Union at all times. But it was soon noted that this allowed the Excalibur platforms to be directly attacked; in this situation, the Excalibur would either have to allow itself to absorb the attack or sacrifice itself to shoot down the attacker. In either case, the Excalibur platform would likely be destroyed, allowing a subsequent and larger attack to occur unhindered. This led Teller to suggest a "pop-up" mode where an Excalibur would be placed on SLBM platforms on submarines patrolling off the Soviet coastline. When a launch was detected, the missiles would be launched upward and then fire as they left the atmosphere. However, this plan also suffered from several problems. Most notable was the issue of timing; the Soviet missiles would be firing for only a few minutes, during which time the US had to detect the launch, order a counter-launch, and then wait for the missiles to climb to altitude. For practical reasons, submarines could only salvo their missiles over a period of minutes, which meant each one could only launch perhaps one or two Excaliburs before Soviet missiles were already on their way. Additionally, the launch would reveal the location of the submarine, leaving it a "sitting duck". These issues led the Office of Technology Assessment to conclude that "the practicality of a global scheme involving pop-up X-ray lasers of this type is doubtful." Another challenge was geometric in nature. For missiles launched close to the submarines, the laser would be shining through only the uppermost atmosphere. However, for ICBMs launched from Kazakhstan, some 3,000 kilometres (1,900 mi) from the Arctic Ocean, the curvature of the Earth meant that an Excalibur's laser beam would have a long path-length through the atmosphere. To obtain a shorter atmospheric path-length, Excalibur would have to climb much higher, during which time the target missile would be able to release its warheads. There was the possibility that a powerful enough laser could reach further into the atmosphere, perhaps as deep as 30 kilometres (19 mi) altitude if it was bright enough. In this case, there would be so many X-ray photons that all of the air between the battle station and the target missiles would be completely ionized and there would still be enough X-rays left over to destroy the missile. This process, known as "bleaching", would require an extremely bright laser, more than 10 billion times brighter than the original Excalibur system. Finally, another problem was aiming the lasing rods before firing. For maximum performance, the laser rods needed to be long and skinny, but this would make them less robust mechanically. Moving them to point at their targets would cause them to bend, and some time would be required to allow this deformation to disappear. Complicating the issue was that the rods needed to be as skinny as possible to focus the output, a concept known as geometric broadening, but doing so caused the diffraction limit to decrease, offsetting this improvement. Whether it was possible to meet the performance requirements within these competing limitations was never demonstrated. Excalibur worked during the boost phase and aimed at the booster itself. This meant that the hardening techniques developed for warheads were not applicable. While many of the other SDI weapons had simple countermeasures based on the weapon's required dwell time, like spinning the booster and polishing it mirror-bright, Excalibur's zero dwell time rendered these ineffective. Thus the primary way to defeat an Excalibur weapon is to use the atmosphere to block the progress of the beams. This can be accomplished using a missile that burns out while still in the atmosphere, thereby denying Excalibur the tracking system information needed for targeting. The Soviets conceived of a wide array of responses during the SDI era. In 1997 Russia deployed the Topol-M ICBM which utilized a higher-thrust engine burn following take-off, and flew a relatively flat ballistic trajectory, both characteristics intended to complicate space-based sensor acquisition and interception. The Topol fires its engine for only 150 seconds, about half the time of the SS-18, and has no bus, the warhead is released seconds after the engine stops. This makes it far more difficult to attack. In 1976, the organization now known as NPO Energia began development of two space-based platforms not unlike the SDI concepts; Skif was armed with a CO2 laser while Kaskad used missiles. These were abandoned, but with the announcement of SDI they were repurposed as anti-satellite weapons, with Skif being used against low-orbit objects and Kaskad against higher altitude and geostationary targets. Some of these systems were tested in 1987 on the Polyus spacecraft. What was mounted on this spacecraft remains unclear, but either a prototype Skif-DF or a mockup was part of the system. According to interviews conducted years later, mounting the Skif laser on the Polyus was more for propaganda purposes than as an effective defense technology, as the phrase "space based laser" carried political capital. One of the claims is that Polyus would be the basis for the deployment of nuclear "mines" that might be fired from outside the range of the SDI components and reach the United States within six minutes. Unlike Project Excalibur, the "Excalibur Program" is a non-nuclear optical phased array, high energy laser system funded by DARPA. 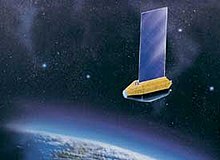 While the nuclear powered Project Excalibur was intended for space interceptions, the Excalibur program is primarily intended for the atmospheric environment and does not emit X-rays. As of 2014 it reportedly achieved a number of design goals, intent on solving the problem of atmospheric attenuation/blooming, by making sub-millisecond adjustments to each laser's power and frequency in the array. ^ The later Super Excalibur concept theoretically supported thousands of lasers. ^ Visible-spectrum gas lasers that were optically pumped by nuclear weapons had been developed and tested, and it is likely the Aviation Week article is confusing these earlier tests with the 1978 X-ray test. ^ A DoD backgrounder report has a diagram showing such an MX-like missile firing for 180 seconds. ^ There is significant confusion in various sources about whether Excalibur+ and Super Excalibur refer to a single design, or two. Coffee and Stevens are examples of these different views. ^ Stevens' overview of known parameters calls this claim into question; he calculates that the effective range of the weapon would be on the order of 3,000 kilometres (1,900 mi), while working backwards, Wood and Teller's own statements put the upper limit around 10,000 kilometres (6,200 mi). Neither is nearly enough to make it effective when fired from stationary orbit at ~36,000 kilometres (22,000 mi). ^ One SDIO official noted that Teller's claims of Soviet research were "5 percent information and 95 percent conjecture." ^ This basic line of reasoning, "but the Soviets are doing it", had been used repeatedly over the previous decades. It was used, sometimes based on fake stories leaked the press, to support the development of nuclear powered aircraft, flying saucer aircraft and was a major reason for the strong support of earlier ABM systems like Nike-X. Ironically, in this case, it was the Aviation Week article in 1981 that prompted Soviet developments, which demonstrated only 20 kJ of output. ^ Or as one congressman insisted, "loose marbles", a euphemism for insanity. ^ "Third generation weapon" was a term Teller used to describe nuclear weapons that focussed their output at particular targets, as opposed to traditional designs where the energy was released in all directions. The term was not widely used by others in the field, although it appears in a number of later works. ^ Although chlorine atoms are reported to have such a state, a dedicated X-ray laser using this technique does not appear in the literature. While atoms with such a state are unknown, metastable inner-shell molecular state molecules often have energy levels in the X-ray region and have been used for high-energy X-ray sources. ^ The Spartan, the longest-range US ABM, had a maximum range of about 450 miles (720 km). ^ a b Waldman 1988. ^ CNN. "Reagan-Gorbachev Transcripts". Archived from the original on January 19, 2008. Retrieved 2012-05-14. CS1 maint: BOT: original-url status unknown (link). Accessed September 18, 2009. ^ Kirchner (20 March 2011). "60 Minutes: the great "walk-offs"". ^ a b Gordon, Michael (20 July 1992). "'Star Wars' X-Ray Laser Weapon Dies as Its Final Test Is Canceled". The New York Times. ^ a b Hecht 1984, p. 123. ^ Hecht 1984, p. 124. ^ a b Hecht 1984, p. 125. ^ a b c d e f g h i j k Hecht 2008. ^ Blum 1988, p. 7. ^ Broad 1985, p. 109. ^ Broad 1985, p. 111. ^ Broad 1985, p. 105. ^ a b Broad 1985, p. 101. ^ Broad 1985, p. 118. ^ Hecht 1984, p. 126. ^ Broad 1985, p. 119. ^ Bulkeley & Spinardi 1986, p. 179. ^ In February 1981, Teller and Wood traveled to Washington to present the technology to the policy makers and request greater financial support to pursue the development. Kaku, Michio; Axelrod, Daniel (1987). To Win a Nuclear War: The Pentagon's Secret War Plans. Black Rose Books. p. 260. ISBN 9780921689065. ^ DeWitt, Hugh (October 1988). "X-ray laser hype confirmed". Bulletin of the Atomic Scientists: 52. ^ a b c Park 2002, p. 185. ^ a b c FitzGerald 2001, p. 129. ^ Robinson, Clarence (23 February 1981). "Advance Made on High-Energy Laser". Aviation Week and Space Technology. pp. 25–27. ^ Prelas 2015, p. 9. ^ a b c Park 2002, p. 186. ^ "Space Weapons Earth Wars" (PDF). rand dot org. Rand Corporation. p. 12. Retrieved February 26, 2019. ^ a b c d Broad 1985, p. 122. ^ Herken 1987, p. 21. ^ a b c d FitzGerald 2001, p. 135. ^ a b c d Herken 1987, p. 22. ^ Lakoff & York 1989, p. 14. ^ a b FitzGerald 2001, p. 142. ^ Hey 2006, p. 80. ^ a b Hey 2006, p. 81. ^ a b c d FitzGerald 2001, p. 141. ^ Park 2002, p. 184. ^ a b c d FitzGerald 2001, p. 144. ^ a b c d e f g h i j k l m Coffey 2013, p. 158. ^ Irwin, Don (30 November 1985). "Reagan Science Adviser Keyworth Quits : 'Star Wars' Advocate to Form Industrial Intelligence Company". Los Angeles Times. ^ a b c d Garwin & Bethe 1968. ^ Broad 1985, p. 124. ^ Broad 1985, p. 125. ^ Graham, Daniel (October 1995). Confessions of a Cold Warrior. ISBN 978-0-9644495-2-7. Archived from the original on 2007-03-11. ^ a b c Lakoff & York 1989, p. 15. ^ Fubini, David (2009). Let Me Explain: Eugene G. Fubini's Life in Defense of America. Sunstone Press. p. 278. ISBN 9780865345614. ^ Prelas 2015, p. 14. ^ Rosenblum, Simon (1985). Misguided Missiles: Canada, the Cruise and Star Wars. James Lorimer. pp. 162–163. ISBN 9780888626981. ^ a b c d Foerstel 2010, p. 41. ^ a b c d Reiss 1992, p. 79. ^ Bulkeley & Spinardi 1986, p. 97. ^ a b c d Scheer, Robert (12 November 1985). "Scientists Dispute Test of X-Ray Laser Weapon". Los Angeles Times. ^ Hey 2006, p. 145. ^ a b c d Mohr 1984. ^ Prelas 2015, p. 115. 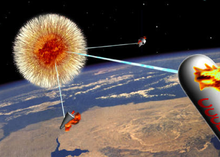 ^ Directed energy missile defense in space (Technical report). DIANE. 1984. p. 7. ISBN 9781428923669. ^ a b Stevens 1988, p. 19. ^ "Teller's telltale letters". Bulletin of the Atomic Scientists: 4. November 1988. ^ Stevens 1988, p. 23. ^ a b Bulkeley & Spinardi 1986, p. 98. ^ a b c Smith 1985, p. 647. ^ a b c d e Smith 1985b, p. 923. ^ a b c Foerstel 2010, p. 42. ^ a b c d Blum 1988, p. 12. ^ a b Broad, William (15 November 1983). "X-ray Laser Weapons Gains Favor". The New York Times. ^ "Soviets Flight Testing Nuclear Bomber". Aviation Week. 1 December 1958. p. 27. ^ "Is this the real Flying Saucer?". Look. 14 June 1955. ^ Patterson, David, ed. (2002). Foreign Relations of the United States: 1964–1968: National Security Policy. Government Printing Office. pp. 487–489. ISBN 9780160510335. ^ Nilson, Joseph (26 June 2020). Reminiscing About the Early Years of the X-Ray Laser (PDF). 8th International Conference on X-Rays Lasers. ^ a b Spinardi 2016, p. 260. ^ Park 2002, p. 187. ^ a b c d Park 2002, p. 188. ^ a b APS 1987. ^ APS 1987, pp. S10-S12. ^ APS 1987, p. S11. ^ APS 1987, p. 12. ^ a b c APS 1987, p. S16. ^ APS 1987, p. S15. ^ Blum 1988, p. 9. ^ a b c d e Blum 1988, p. 13. ^ a b Blum 1988, p. 8. ^ Strategic Defense Initiative program : accuracy of statements concerning DOE's X-ray laser research program (Technical report). United States General Accounting Office. 1988. ^ Hey 2006, p. 158. ^ a b Howes, Ruth (12 November 2008). "Physics and the Classified Community" (PDF). Eastern Michigan University, Physics Department. ^ "What the GAO didn't let you read". Bulletin of the Atomic Scientists: 5. November 1988. ^ Foerstel 2010, p. 43. ^ Bennett, Charles (17 June 1989). "'Brilliant Pebbles'? No, Loose Marbles". New York Times. ^ Reiss 1992, p. 80. ^ a b Schwartz 2011, pp. 81–82. ^ a b c Coffey 2013, p. 268. ^ Cirincione, Joseph (1 February 2000). A Brief History of Ballistic Missile Defense (Technical report). Carnegie Endowment for International Peace. ^ a b Hey 2006, p. 102. ^ Blumberg, Stanley; Panos, Louis (1990). Edward Teller: Giant of The Golden Age of Physics. New York: Macmillan Publishing Company. ISBN 978-0-684-19042-6. ^ a b Hey 2006, p. 103. ^ Smith 1985, p. 646. ^ Goodchild 2004, p. 343. ^ Hecht 1984, p. 132. ^ Matlock 2004, pp. 229–232. ^ Matlock 2004, p. 235. ^ a b "How Lasers Work". LLNL. ^ a b "LASERs". Quantum Physics 130. ^ a b "Atoms and Light Energy". Imagine the Universe, NASA. ^ "The First Ruby Laser". ^ a b Hecht 1984, p. 117. ^ Cocke, C. L.; Curnutte, Basil; Macdonald, J. R. (8 May 1972). "Metastable X-Ray Emitters Produced in Beam-Foil Excitation of Fast Chlorine Beams". Physical Review Letters. 28 (19): 1233. Bibcode:1972PhRvL..28.1233C. doi:10.1103/physrevlett.28.1233. ^ Y.K. Bae; et al. (1996). "Detection of accelerated large water cluster ions and electrosprayed biomolecules with passivated solid state detectors". Nuclear Instruments and Methods in Physics Research Section B. 114 (1): 185–190. Bibcode:1996NIMPB.114..185B. doi:10.1016/0168-583x(96)00043-2. ^ a b c d e Hecht 1984, p. 118. ^ Hecht 1984, p. 119. ^ a b Ritson 1987, p. 487. ^ Hecht 1984, p. 127. ^ a b APS 1987, p. S63. ^ APS 1987, p. S62. ^ a b c Kent 2008, p. 49. ^ "History of Russia's Anti-ballistic Missile (ABM) System". Union of Concerned Scientist. 27 October 2002. ^ Bell Labs 1975, p. 1.1. ^ Laird, Melvin (2011). "Amendments to the FY-70 Defense Budgets" (PDF). In Bennett, M. Todd (ed.). National Security Policy, 1969–1972. pp. 41, 54. ^ a b Broad 1986. ^ Hafemeister 2016, p. 131. ^ OTA 1985, p. 152. ^ OTA 1985, p. 153. ^ a b Hafemeister 2016, p. 132. ^ Stevens 1988, p. 20. ^ Smith 1985, p. 648. ^ Podvig, Pavel (March 2013). "Did Star Wars Help End the Cold War? Soviet Response to the SDI Program". Russian Forces. ^ "Russia Approves Topol-M; Warns Missile Could Defeat U.S. Defense". Armscontrol.org. June 2000. Retrieved 2011-05-23. ^ Canavan, Gregory (2003). Missile Defense for the 21st Century (PDF). The Heritage Foundation. pp. 39–40. ISBN 978-0-89195-261-9. ^ Hendrickx, Bart; Vis, Bert (2007). Energiya-Buran: The Soviet Space Shuttle. Springer. p. 282. Bibcode:2007ebss.book.....H. ISBN 9780387739847. ^ a b Hey 2006, p. 144. Bloembergen, N; Patel, C. K. N; Avizonis, P; Clem, R. G; Hertzberg, A; Johnson, T. H; Marshall, T; Miller, R. B; Morrow, W. E; Salpeter, E. E; Sessler, A. M; Sullivan, J. D; Wyant, J. C; Yariv, A; Zare, R. N; Glass, A. J; Hebel, L. C; Pake, G. E; May, M. M; Panofsky, W. K; Schawlow, A. L; Townes, C. H; York, H (July 1987). "APS Study: Science and Technology of Directed Energy Weapons". Reviews of Modern Physics. 59 (3): S1. Bibcode:1987RvMP...59....1B. doi:10.1103/RevModPhys.59.S1. Bell Labs (October 1975). ABM Research and Development at Bell Laboratories, Project History (PDF) (Technical report). Bell Labs. Retrieved 13 December 2014. Blum, Deborah (July–August 1988). "Weird Science: Livermore's X-Ray laser flap". Bulletin of the Atomic Scientists. Broad, William (1985). Star Warriors: a penetrating look into the lives of the young scientists behind our space age weaponry. Simon & Schuster. ISBN 9780671628208. Broad, William (1992). Teller's War: The Top-Secret Story Behind the Star Wars Deception. Simon & Schuster. ISBN 9780671701062. Broad, William (28 October 1986). "'Star Wars' Traced To Eisenhower Era". New York Times. Bulkeley, Rip; Spinardi, Graham (1986). Space Weapons: Deterrence or Delusion. Rowman & Littlefield. ISBN 9780745602714. Carter, Ashton (April 1984). "Directed Energy Missile Defence in Space" (PDF). NASA Sti/Recon Technical Report N. 85: 24–28. Bibcode:1984STIN...8510095C. Retrieved 8 October 2013. Coffey, Patrick (2013). American Arsenal. OUP USA. ISBN 9780199959747. FitzGerald, Frances (2001). Way Out There In the Blue: Reagan, Star Wars and the End of the Cold War. Simon & Schuster. ISBN 9780743203777. Foerstel, Herbert (2010). Toxic Mix? : A Handbook of Science and Politics. ABC-CLIO. ISBN 9780313362347. Garwin, Richard; Bethe, Hans (March 1968). "Anti-Ballistic-Missile Systems" (PDF). Scientific American. Vol. 218 no. 3. pp. 21–31. Bibcode:1968SciAm.218c..21G. doi:10.1038/scientificamerican0368-21. Goodchild, Peter (2004). Edward Teller, the Real Dr. Strangelove. Harvard University Press. ISBN 9780674016699. Hey, Nigel (2006). The Star Wars Enigma: Behind the Scenes of the Cold War Race for Missile Defense. Potomac Books. ISBN 9781574889819. Hafemeister, David (2016). Nuclear Proliferation and Terrorism in the Post-9/11 World. Springer. Bibcode:2016nptp.book.....H. ISBN 9783319253671. Hecht, Jeff (1984). Beam Weapons: The Next Arms Race. New York: Plenum Press. ISBN 9780306415463. Hecht, Jeff (May 2008). "The History of the X-ray Laser". Optics & Photonics News. 19 (5). Heppenheimer, Ta (7 August 1989). "New Director Shifts Balance Of Power At Livermore Lab". The Scientist. Herken, Gregg (October 1987). "The earthly origins of Star Wars". Bulletin of the Atomic Scientists. Lakoff, Sanford; York, Herbert (1989). A Shield in Space? Technology, Politics, and the Strategic Defense Initiative. University of California Press. ISBN 9780520066502. Matlock, Jack (2004). Reagan and Gorbachev: How the Cold War Ended. Random House. ISBN 9781588364258. Mohr, Charles (22 March 1984). "Study Assails Idea of Missile Defense". The New York Times. Park, Robert (2002). Voodoo Science: The Road from Foolishness to Fraud. Oxford University Press. ISBN 9780198604433. Prelas, Mark (2015). Nuclear-Pumped Lasers. Springer. ISBN 9783319198453. Ballistic Missile Defense Technologies. Office of Technology Assessment. September 1985. Reiss, Edward (1992). The Strategic Defense Initiative. Cambridge University Press. ISBN 9780521410977. Ritson, David (August 1987). "The Nuclear-Pumped X-ray Laser; A weapon for the twenty-first century". Nature. 328 (6130): 487–490. Bibcode:1987Natur.328..487R. doi:10.1038/328487a0. Schwartz, Stephen (2011). Atomic Audit: The Costs and Consequences of U.S. Nuclear Weapons Since 1940. Brookings Institution Press. ISBN 9780815722946. Smith, R. Jeffery (8 November 1985). "Experts Cast Doubts on X-ray Laser". Science. 230 (4726): 646–648. Bibcode:1985Sci...230..646S. doi:10.1126/science.230.4726.646. PMID 17797283. Smith, R. Jeffery (22 November 1985). "Experts Cast Doubts on X-ray Laser". Science. 230 (4728): 923. Bibcode:1985Sci...230..923S. doi:10.1126/science.230.4728.923. PMID 17739208. Spinardi, Graham (2016). "Nuclear Weapons Experts". In Fleck, James; Faulkner, Wendy; Williams, Robin (eds.). Exploring Expertise: Issues and Perspectives. Springer. ISBN 9781349136933. Stevens, Charles (4 November 1988). "Status of the x-ray laser: the exclusive real story". Executive Intelligence Review: Science and Technology. 15 (44): 18–23. Waldman, Harry (1988). The Dictionary of SDI. New York: Rowman & Littlefield. pp. 58, 157–158. ISBN 978-0842022958. Anti-Satellite Weapons, Countermeasures and Arms Control. Washington, D.C.: Office of Technology Assessment, U.S. Congress, September 1985. OTA-ISC-285. Goodchild, Peter. "Meet the real Dr Strangelove". The Guardian, April 1, 2004. Accessed 8 October 2008. Perlman, David. "The Dilemmas of Decision-Making from AIDS to SDI". In Golden, William T., Science and Technology Advice to the President, Congress, and Judiciary, 2nd ed. New Brunswick, U.S.A.: Transaction Publishers, 1995, pp. 255–261. ISBN 1-56000-829-6. Accessed 8 October 2008. Thomsen, Dietrich E. "Strategic defense of X-ray initiative – X-ray laser research". Science News, December 14, 1985. Accessed 8 October 2008.